Lotto-Soudal's Tiesj Benoot has crashed out of Paris-Roubaix and immediately taken to the hospital. The rider crashed against a team car during the race. The Belgian rider suffered a first crash that left him behind the peloton close to the start of the second half of the race. 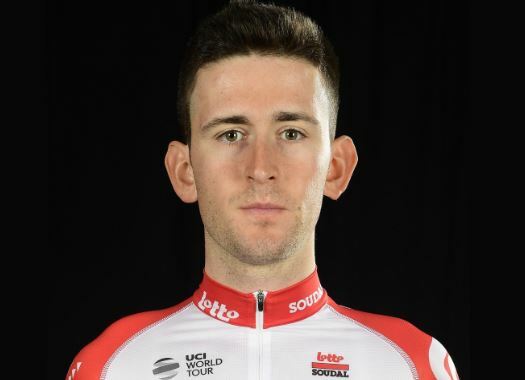 As he was trying to get back to the peloton, Benoot reportedly crashed against one of the team cars of Jumbo-Visma, and he had to withdraw from the race and be taken to the hospital. Later in the race, television images showed a car of the Dutch team with its back windscreen completely broken and it is assumed that this damage was caused at the crash with the Lotto Soudal rider. "In an effort to return to the head of the race after an earlier crash and puncture, Tiesj Benoot collided with a team car," said the Belgian team in a press release. "Examination in the hospital has shown that both the right hip and right shoulder are heavily bruised. There is also a crack in the right collarbone. Besides, Benoot incurred various cuts and bruises. Tomorrow, further examinations will follow to make a definitive diagnosis. The Lotto Soudal rider will not start in the Amstel Gold Race next Sunday."